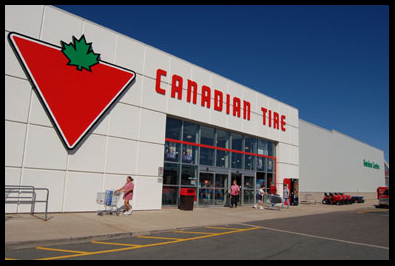 Starting tomorrow, Friday the 22nd of October 2010, Canadian Tire is having one of their "scratch and save" events, over the weekend! You will be able to find scratch card along with this week's flyer, if you were lucky enough to get it through your mailbox. Alternatively, you can ask for one in-store and it's likely they will give you one then. The scratch and save event at Canadian Tire means a discount of at least $5. There are also $10, $25, $50 and $5000 gift cards too! You must spend at least the amount on the scratch card. So if it is a $25 prize, your order must be $25 or more. I've heard stories of people going out a raiding dumpsters, trying to get as many of these coupons as possible... I've never done that!